QUEENS — Amy Wu is trying to shine a spotlight on the borough she calls home. A grad student at the School of Visual Arts and a Queens native, Wu is the founder of QNSMADE, a website that will highlight and explore the borough's identity through photographs and interviews with some of its 2.2 million occupants. "I think that Queens hasn’t been represented because there are so many neighborhoods, and they're so widespread," said the 27-year-old, whose parents moved to Richmond Hill from India before she was born. She grew up in Flushing and now lives in Jamaica. "I feel like Brooklyn has sort of gotten its visual identity, but how come Queens hasn’t?" Wu, who has a background in graphic design, set out to change that with QNSMADE, which originated as a project for her entrepreneurial design class at SVA. "I was just thinking, 'oh, let me try to interview people from Queens because I'm from here, and what does it really mean to be from this borough, growing up here all my life?'" she said. 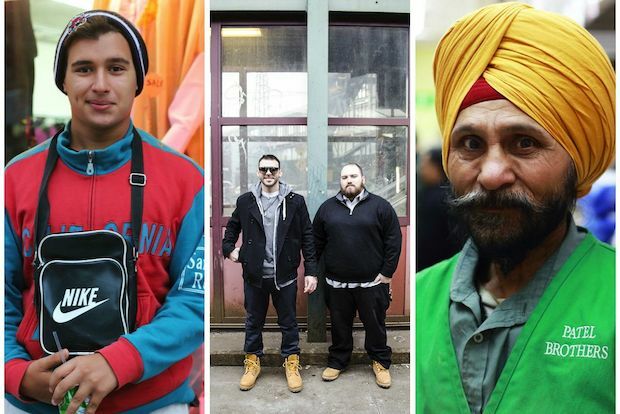 The site, which launched a few weeks ago, currently features a series of vivid photographs of Queens residents that showcase the diversity of the borough. Wu and friend Jaina Teeluck started visiting different neighborhoods — first Astoria and Long Island City, then Jackson Heights, Woodside and Elmhurst — where they approached people on the street and asked to take their pictures. "I've been calling it as a joke, 'Humans of Queens,'" she said, referring to the ever-popular "Humans of New York," where photographer Brandon Stanton chronicles the city through portraits. "I wanted to do a section where it was just very visual," she said. Other sections of the site which are in the works will include a "resource" page, which will feature a directory of people and companies who are making and manufacturing things in Queens and a series of interviews with both Queens natives and transplants about their experiences living in the borough. Wu said she's planning to launch a Kickstarter page to help fund the website and hopes to eventually make it a collaborative effort where others could add their own photos and interviews. "I'm just kind of trying to begin the budding of it, but I love the idea that people can contribute to it," she said.